Drafts for Mac ships with a “Send to Drafts” service. Services are handy extensions apps can provide that appear in the app menu (learn about services). 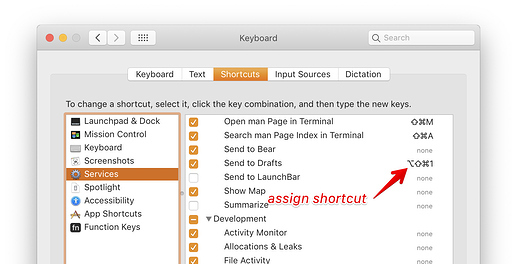 The “Send to Drafts” service works with text and can be triggered for any text selection via the [AppName] > Services > Send to Drafts menu item…but it is also possible to assign a global keyboard shortcut to any service in System Preferences > Keyboard > Shortcuts. 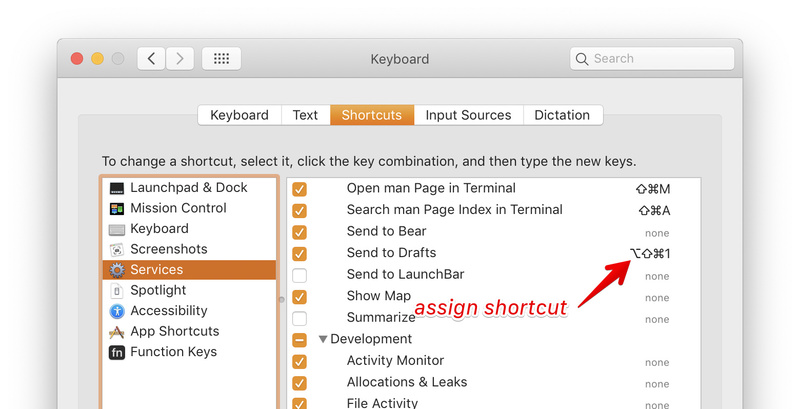 If you assign a keyboard shortcut of your liking to the “Send to Drafts” service, you can make a text selection in an app, anywhere, hit that shortcut and have the text captured to Drafts - without having the additional steps of copy and pasting, etc.